There are some good deals on lower priced items at the Boeing Store. Promotion runs through 6/27 and use coupon code USSHIP14 at check out. I once booked a 9PM flight to Oakland rather than a 9AM flight. It was my error and after a gate agent noticed the PM on my departure time, I was added standby to a San Jose flight. It was my fault for not noticing what I purchased wasn't what I wanted and I bore the costs. 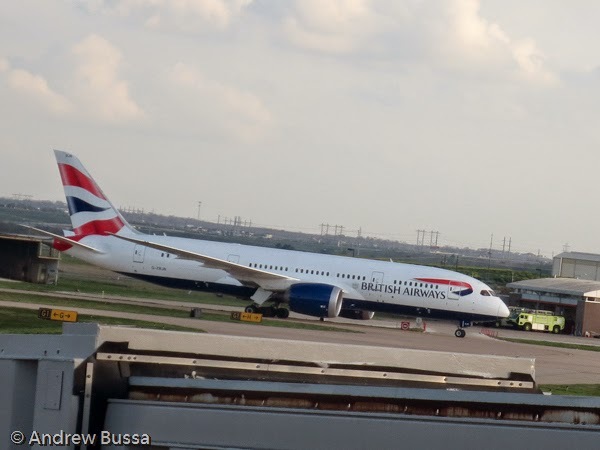 A Florida man is suing British Airways for flying him on the itinerary he purchased to Grenada (GND in the Caribbean) rather than Granada (GRX in Spain). This man should have noticed a few things were wrong, like the flight time, price, destination spelling, aircraft size, passport requirements, and (hate to be repetitive but) the destination. I would hate to see this guy win his $34,000 lawsuit because he should have exercised due care to ensure what he purchased is what he wanted. 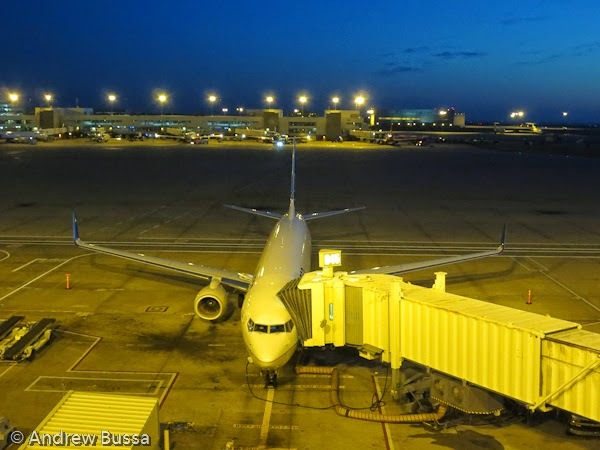 The Embraer 170 is my favorite United Express aircraft, it has two bathrooms, wider seats, overhead bins that can store roll aboard bags, and large windows. 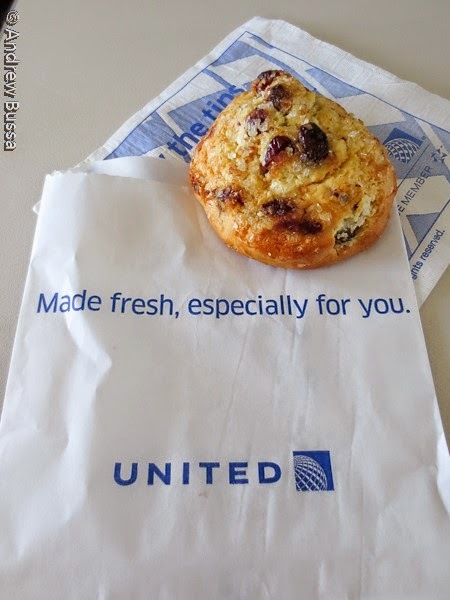 It only has 6 first class seats, so upgrades aren't too frequent. That's hardly a problem because row 7 has amazing legroom (it is Economy Plus, so United charges non-elites to reserve the row). I flew in seat 7B and didn't have anything blocking a good stretch. 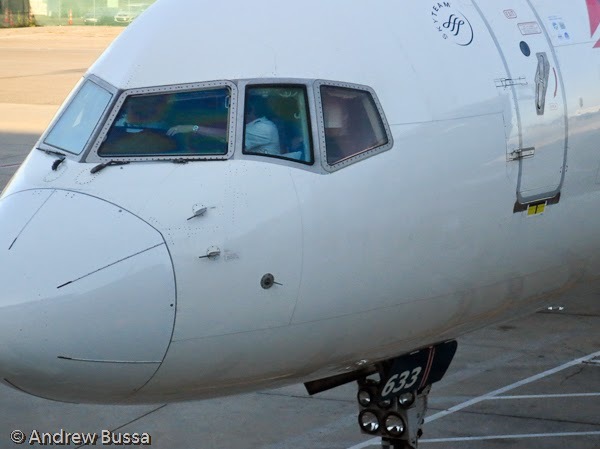 I love boarding an airplane and turning left. It gives a sense of occasion to travel because only large planes board through a middle door and the premium cabin waits. 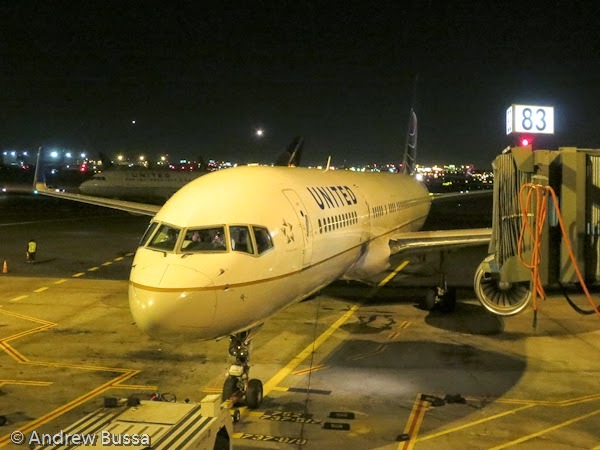 It is only rivaled by walking up stairs in the plane to reach your seat (747's only, the A380 usually uses a jet bridge to load upper deck passengers). I'm still dreaming of my first trip on a 787. 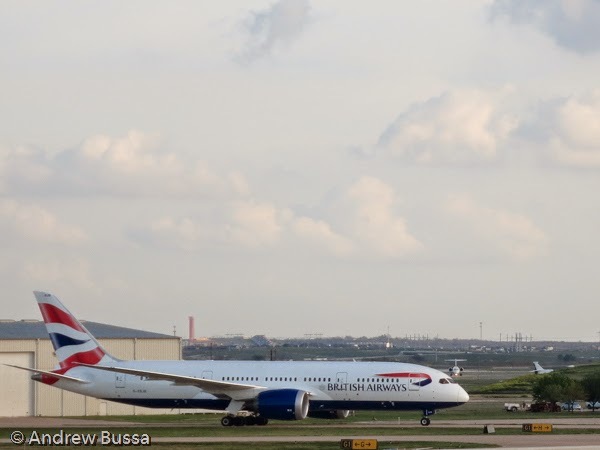 The British Airways flight to Austin uses a 787 and I grabbed a picture after my day dreaming (I was flying on a regional jet). 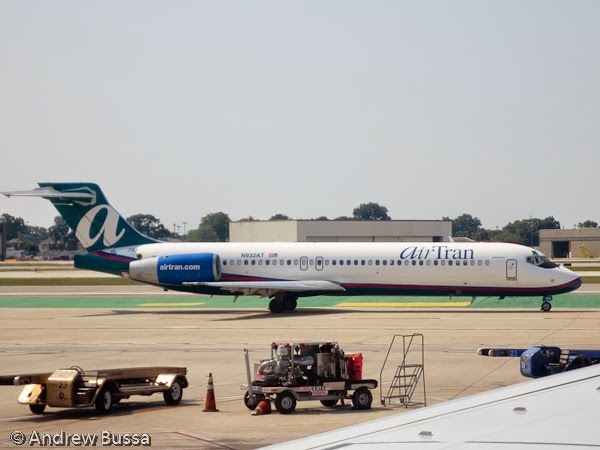 Frontier will offer a 10% discount on domestic fares from Friday, June 13, 2014 through 11:59 p.m. Eastern time, Sunday, July 13, 2014. 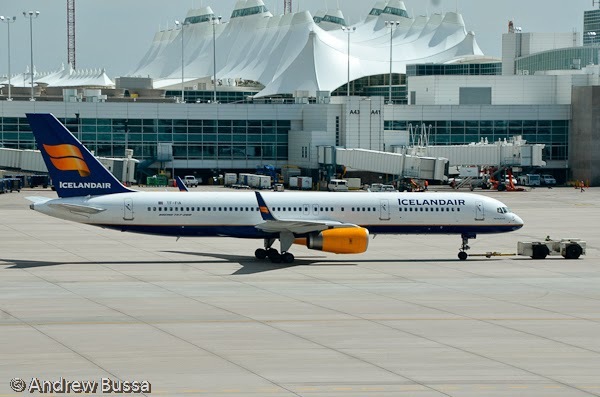 The discount will apply to regular and sale fares for domestic travel to/from Denver International Airport from June 14, 2014 through October 1, 2014. All fare rules will apply. 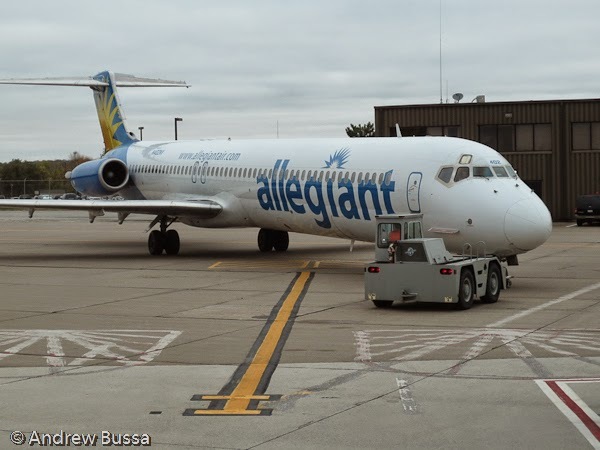 Travel excludes the following blackout dates: 6/29, 7/3, 7/5 - 7/6, 8/28 - 8/29, 9/1; 2014. Tickets must be purchased online below using the promo code WILDLIFE. No exceptions will be made. 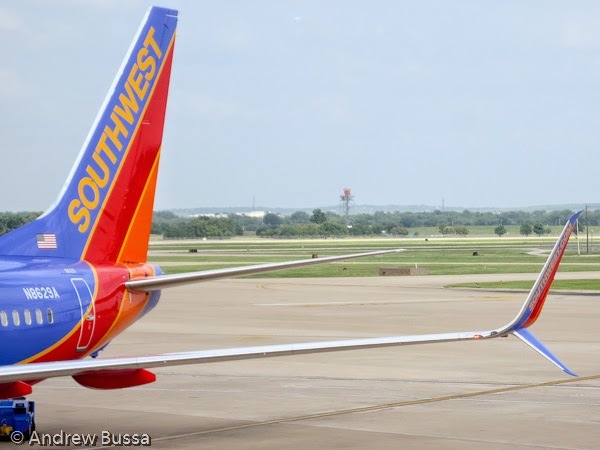 I spotted another 737 with new split scimitar winglets, this time on a Southwest plane in Austin, Texas. 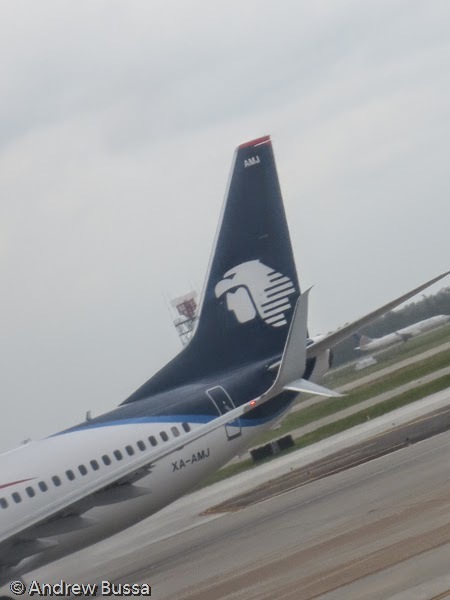 I spotted the new style split scimitar winglets, an after market option for 737 owners, on an Aeromexico plane in Houston this week. It's a cool looking design and I was excited to finally spot them after hearing about them last year at EBACE. I love seeing emails from United with the subject "Elite Upgrade Notification" because it allerts you to a confirmed upgrade. The "Save now on DIRECTV on your upcoming flight" is a new email for me and confirms my upgrade is hopeless. As a quick follow up to their free shipping sale, the Boeing Store has 20% men's apparel and model airplanes. It's a great opportunity to buy a PacMin 747-400 model for cheap. 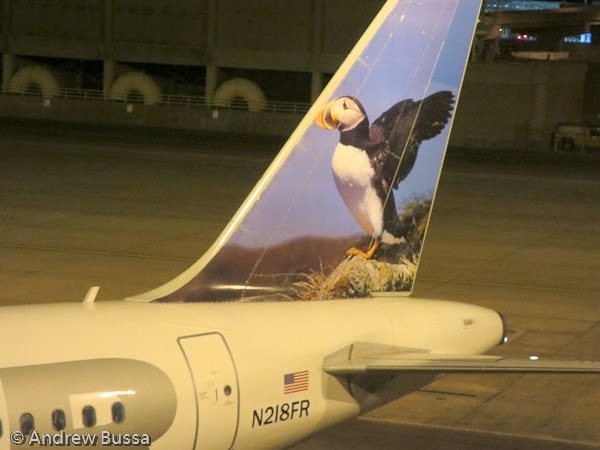 Iceland Air has some great outdoor advertising in the Denver area to promote their direct flight to Reykjavik. All the ads follow the same formula, a stunning photo of nature in Iceland and some short copy about long days and short nights. It's very memorable for me because I love the inspirational nature of the ad. 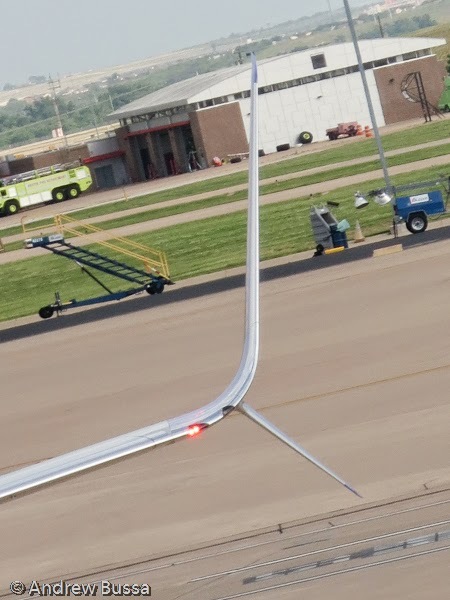 Now if only their flights weren't so expensive; they charge like you are going all the way across the Atlantic when you are actually stopping half way.